The fully redesigned 2019 GMC Sierra pairs brutish looks with industry firsts like an available carbon fiber bed and the MultiPro tailgate. The model included with this offer is the 2019 Sierra 1500 Limited 4WD with a double cab, standard box and 4.3-liter V6 engine. The offer is only for the SLE grade, which features a chrome grille, bumpers and window surround as well as Apple CarPlay, Android Auto, keyless entry, rear bumper steps, cargo tie-downs, automatic rear locking differential, rearview camera, trailering equipment and hill-start assist. This ultralow-mileage lease is for current General Motors vehicle lessees only. It comes with a 30,000-mile limit and expires on Jan. 2. This deal isn’t for the redesigned Silverado 1500 but for the old body style. The 2018 truck included in this offer is any model powered by Chevrolet’s 5.3-liter V8 eAssist engine. The aluminum-block direct-injected engine generates 355 horsepower and 383 pound-feet of torque. It gets an EPA-estimated 18 mpg or 20 mpg combined, depending on the drivetrain, and has a range up to 600 miles per tank. The offer includes $2,000 in customer cash and a $3,500 package cash allowance. Buyers must take delivery by Jan. 2. All makes and models of the 2018 Ford F-150 except the Raptor qualify for this deal. The F-150 delivers best-in-class torque, payload and towing. Its body is made of aluminum alloy, and its frame is 78 percent high-strength steel. The SuperCrew variant of the truck has earned a five-star safety rating from the National Highway Traffic Safety Administration. To qualify for this offer, buyers must be approved for Ford Credit financing and take delivery from dealership stock by Jan. 2. This deal allows buyers to take advantage of the right combination of offers to reach nearly $14,000 in savings on a new 2018 Nissan Titan. Dealers are offering an average discount of $3,109 on the 2018 Titan. Qualified buyers can opt for 0 percent financing on SL and Platinum trims or get $7,500 cash back. Buyers can get the Titan Chrome Package on their truck and save $2,187 with this offer. Buyers who can show proof of ownership of a competitor’s truck when purchasing a new Titan may be eligible for $1,000 in conquest cash. Qualified buyers must take delivery from dealership stock by Jan. 2. Buyers of the last-generation GMC Sierra get a high-end model of the truck for a low price. The offer is for the 2018 Sierra 1500 4WD with a crew cab and the Denali Ultimate Package. The truck comes equipped with the buyer’s choice of a 5.3-liter or 6.2-liter V8 engine, both of which are paired with an eight-speed automatic transmission. It comes standard with Magnetic Ride Control, power steps, 20-inch machined aluminum wheels, forward collision warning and assist and lane-keep assist. Its cabin is equipped with an 8-inch infotainment touch screen display, 8-inch driver information display, Bose audio system and heated and ventilated, leather-appointed front bucket seats. This offer includes a $4,008 price reduction below the $65,105 MSRP, $750 option package discount and $7,550 purchase allowance. The purchase must be financed through GM Financial and buyers must take delivery by Jan. 2. This offer bumps up the usual SLT trim by pairing the 2018 Sierra 1500 4WD with the SLT Crew Cab Premium Plus Package. The truck is equipped with 20-inch chrome wheels, all-season tires, front and rear park assist, chrome assist steps, a spray-on bed liner and LED headlights. Inside the cabin are a heated steering wheel, power-sliding rear window, Bose premium audio system, 8-inch infotainment touch screen display, navigation, trailer brake controller, front bucket seats, heated and ventilated seating and a Bose audio system. The Sierra 1500 also comes with Chevrolet’s Enhanced Driver Alert Package, which includes numerous safety technologies. Buyers who finance through GM Financial may be eligible for a $1,250 purchase allowance. Buyers must take delivery by Jan. 2. One of the best full-size trucks of 2018 can be had for a lower monthly rate than most midsize SUVs. The 2019 Ram 1500 Big Horn/Lone Star 4×2 is a midgrade truck that’s nicely appointed. The model included with this offer is powered by a 3.6-liter V6 engine with eTorque that is paired with an eight-speed automatic transmission. It has a 40/20/40 split front seat and a 60/40 split, folding rear seat. The truck comes standard with a 5-inch touchscreen display, USB ports, fog lamps, hill-start assist, keyless entry and one-touch up/down power windows. This offer includes up to $3,500 in bonus cash. Qualified lessees must take delivery by Jan. 2. Starting with the 2018 model year, every Toyota Tundra comes standard with the Toyota Safety Sense suite of advanced safety technologies. Its two thirsty V8 engines give the buyer plenty of power, although it can’t tow or haul as much as its rivals. It has a higher starting price than most trucks, but even its highest trim tops out lower than the competition. All grades of the 2018 Toyota Tundra except the TRD Pro trim qualify for this special financing offer. To qualify, buyers must be approved by Southeast Toyota Finance and take delivery by Jan. 2. The model included in this offer comes with a double cab, standard bed and four-wheel drive. It is equipped with a 5.3-liter EcoTec3 V8 engine that achieves 355 horsepower and 383 pound-feet of torque and is paired with a six-speed automatic transmission. 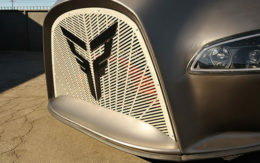 The LT trim adds chrome center bar, bumpers and mirror caps as well as body-color door handles, 17-inch painted aluminum wheels, LED headlights and LED daytime running lights. The All-Star Edition package includes keyless entry, USB ports, heated steering wheel, heated seats, 40/20/40 split-bench front seat, cargo bed lighting and dual-zone automatic climate control. The MSRP is $44,500. Current lessees of select 2012 model year or newer Buick, Cadillac, Chevrolet and GMC vehicles will only need to pay $3,999 at signing. This offer expires on Jan. 2 and carries a 30,000-mile limit. This deal on Ford’s 2018 F-150 XLT 4×2 brings its monthly payment down to the price of some new SUV leases. The offer includes the model with the SuperCrew cab and 2.7-liter V6 EcoBoost engine. Ford has added on the 302A Equipment Package, which includes a chrome appearance package, SYNC 3 infotainment, heated front seats and a reverse sensing system, to sweeten the deal. A number of cash-back opportunities have to come together to get the amount due at signing so low. The offer includes $250 customer cash, $1,500 bonus cash and $300 in EcoBoost bonus cash. Qualified lessees must take delivery by Jan. 2.